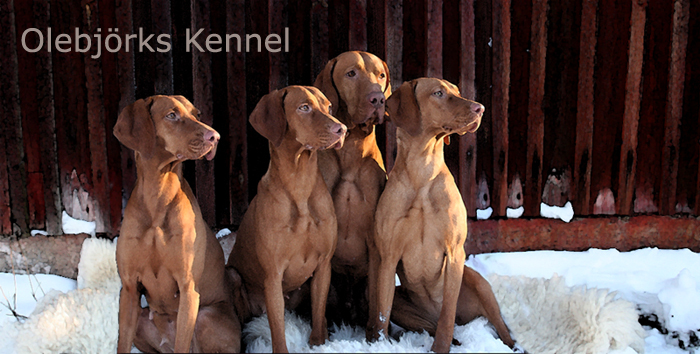 Olebjörks kennels goal is to breeding healthy Hungarian Vizsla for hunting. The aim is also to retain the breeds delightful temperament and beautiful appearance. A lot of work is put into importing dogs with good huntinglines from Europe and carefully choosing dogs for mating. This English version is not so well updated as the Swedith one. Try to use google translate on my Swedish page if you wont to read more.